It’s the final of the three films in the Dean Cameron trilogy brought to us by Midnite for Maniacs (the others being Summer School and Ski School), and while Rockula doesn’t have “School” in the title, it does have a lot of songs, so if you ever wanted to see a vampire Elvis impersonator, Rockula has you covered! Right off the bat (ha!) you know Rockula is going to be great because it has animated opening credits. Well, maybe not great, but it can’t be worse than Catalina Caper, the lowest-grade movie with animated opening credits of them all. 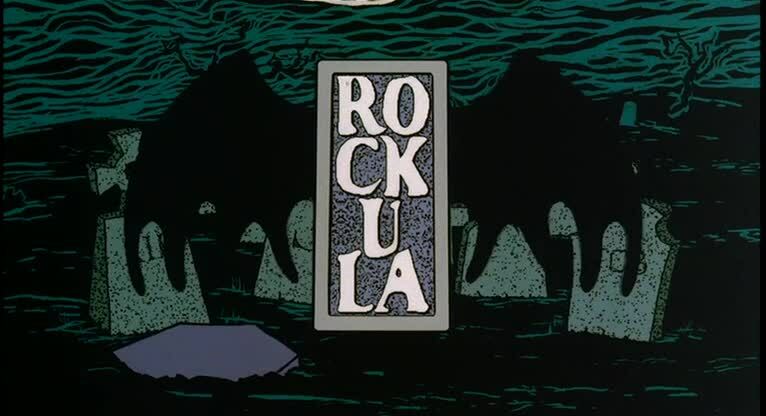 Most others rate far higher, and Rockula is some fun fun cheese that if you saw while you were a young, impressionable child, you will have fond memories of for the rest of your life. If you are first exposed as a cynical adult, you’re probably going to be far less amused. 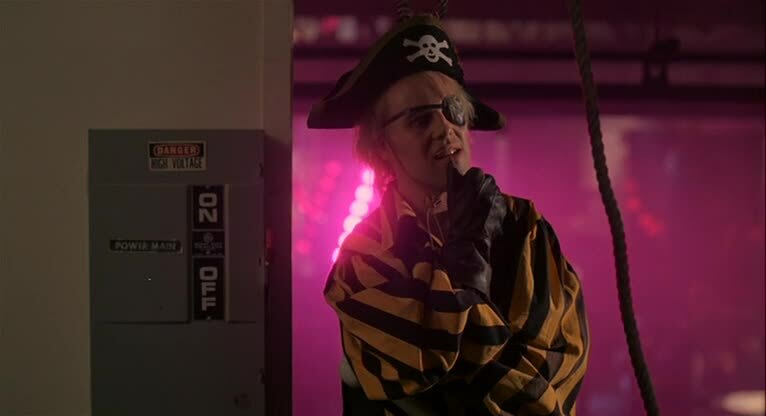 I do remember Rockula from cable as a kid, but not overly so, it’s one of those movies that sort of blurred together with several other films to create a sort of super film that never existed. 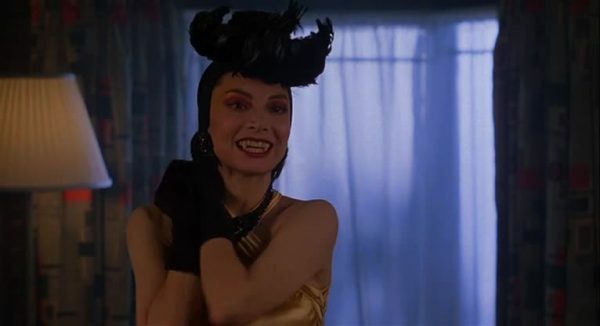 So Rockula can’t live up to the hype of the most memorable moments of a dozen or so films. 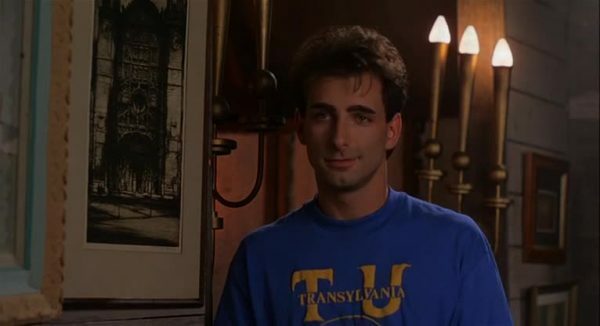 But it does have its charm, and Rockula is a movie that deserves a chance. Ralph is a good vampire boy, in that he isn’t bloodthirsty, he can’t even stand the sight of blood, and just wants to play his music. 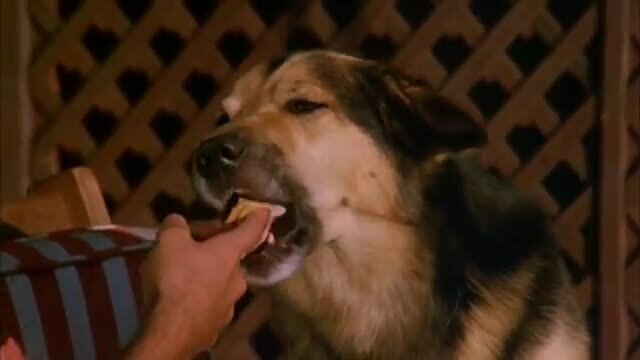 Also he’s forced to relive a curse again and again because long ago he failed to save the life of his beloved Mona, and ever since history keeps repeating herself as she gets reincarnated, only for them to be destined to meet, fall in love, and for her to swiftly be killed off by a ham bone due to the reincarnated rage of a pirate. It’s a curse, except this time there is the added danger that he knows it might be the last time through. 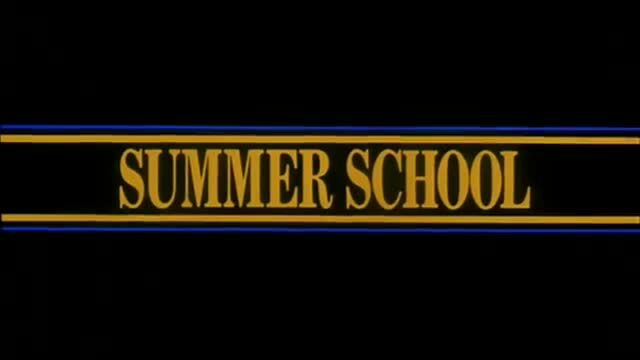 The second film in the Dean Cameron Triple Feature Midnites for Maniacs show was Ski School (after Summer School), one of two flicks I had no experience with before the night began. This was Jesse Hawthorne Ficks’ favorite movie growing up, and the showing was his birthday bash. I was only vaguely aware of the film going in, thinking it was just another Police Academy style film that they must not have had a copy of at the video store I used growing up. 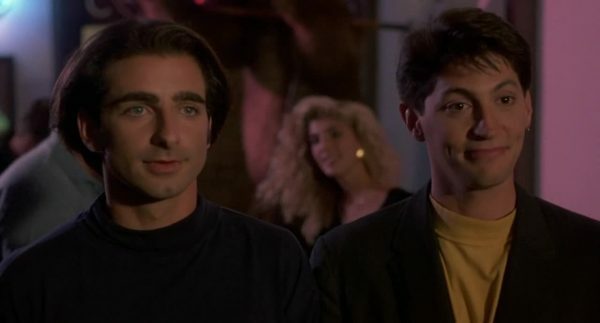 The film apes part of Summer School‘s character dynamic, though instead of Dean Cameron’s character having Dave Frazier(Gary Riley) to work off of, Cameron is paired up with Stuart Fratkin as his partner in crime. Fratkin and Cameron would again be paired in the tv series They Came From Outer Space, though Fratkin was noticeably not in Ski School 2, a movie that seemingly could only afford Dean Cameron. Ski School is a classic snobs vs slobs scenario mixed into the Academy format the Police Academy movies help popularized while also showcasing some great 90s extreme sports events. In addition to the skiing, thanks to it being the 90s, ever character is constantly wearing neon, especially neon tracksuits and ski outfits. They even work it into the party scenes by using a blacklight to make the partygoers all glow. 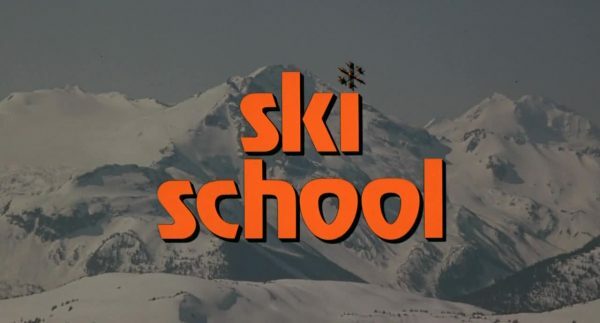 Basically, Dave Marshak (Dean Cameron) and his squad of party hounds run the disrespectful part of the ski school located in Building 8 (painted sideways like infinity.) They’re opposed by Reid Janssens (Mark Thomas Miller), a classic movie jerkass who demands perfection and hates the slobs, to the point where he is conspiring with the ski school’s owners to sell the place, at which point he’ll get a promotion. Not exactly the best evil plan, but it is evil and it is a plan that interferes with their partying lifestyle, so Marshak and his friends must save the day. 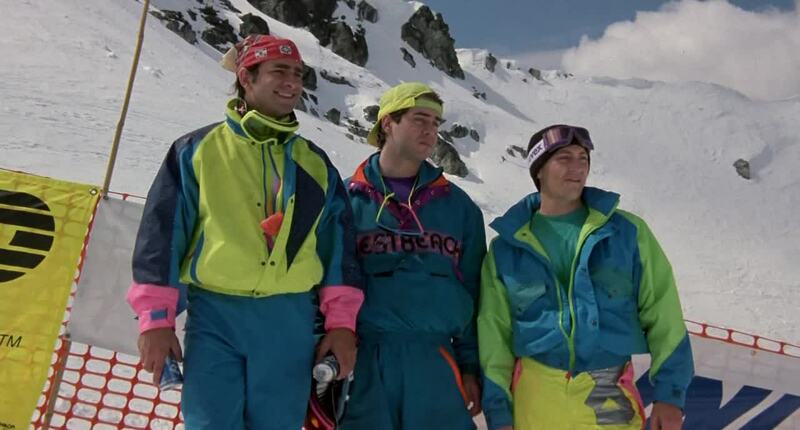 Marshak is joined by his best bud Fitz Fitzgerald (Stuart Fratkin) and fellow party man Ed Young (Patrick Labyorteaux, who was also in Summer School), as well as hot new recruit John Roland (Tom Breznahan), who is an awesome skier but not from the rich, established skier areas, thus earning Janssens’ ire and getting shipped of to section 8. 13 Girls comes a haunting! 13 Girls stars Sadie Katz (who is always amazing!) as a detective investigating the suicide of a group of Catholic schoolgirls, which leads to a huge demonic conspiracy involving a plot to destroy all men. 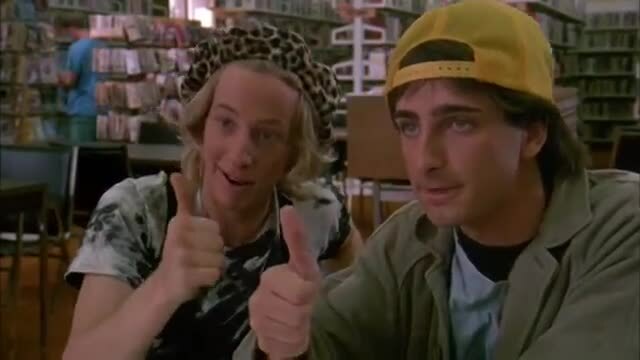 Shades of True Detective? Jim Towns writes and directs, he helmed Manhaters! and House of Bad previously. FilmThreat has a good interview with him. Among 13 Girls‘ casts is Sam Aotaki, who is also a featured player in Asylum’s Asian School Girls. P.J. Soles and Dean Cameron have parts, and also Jenny Jones, Ginny You, Elizabeth Ouimette, and Erinn O’Sullivan. Cameras will roll on Jim Towns’ new thriller 13 Girls this October, reuniting the writer/director of House of Bad with his leading actress from that film- blonde, whiskey-voiced Sadie Katz. Katz will play a troubled detective trying to solve the group suicide of an entire classroom of Catholic schoolgirls. As she gets closer to the truth, she must face her own devils if she is to help thwart a demonic plot to usurp the world of Man. Katz has most recently appeared in Chavez: Cage of Glory and Scorned, which she co-wrote. 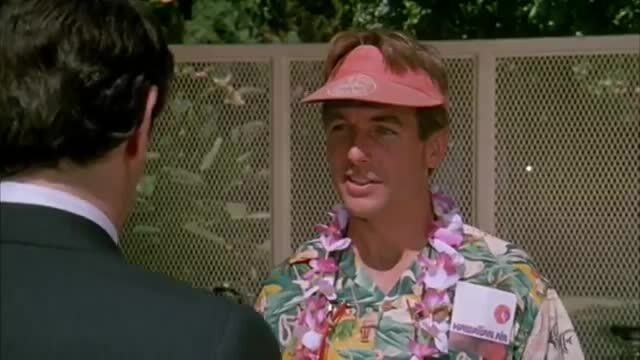 Other talent already attached includes Daniel Roebuck (LOST, The Fugitive), Jamie Bernadette (Reel Evil, Axeman at Cutter’s Creek, The 6th Friend), Erik Preston (Halloween 4- The Return of Michael Myers), William Christopher Ford (Karate Kid III) and Australian actress Stef Dawson (Wrath). House of Bad, which Towns describes as a ‘haunted heist flick’, is due out in February through Osiris Entertainment. He is also in development on A Man with a Gun, starring Tony Todd, which he wrote and is also producing. 13 Girls will shoot in Hollywood and the South Bay area, and is being produced by Towns’ Shadow Kamera Films and through independent financing.